When crisis occurs, we forget about how we can focus to surpass it. Our emotions cloud our judgment in making the right decisions to survive and get out of the situation. Therefore, it is essential to have the appropriate survival mindset which comes in handy when handling any predicament. I am glad that I learned the fundamentals of A.R.R.T. 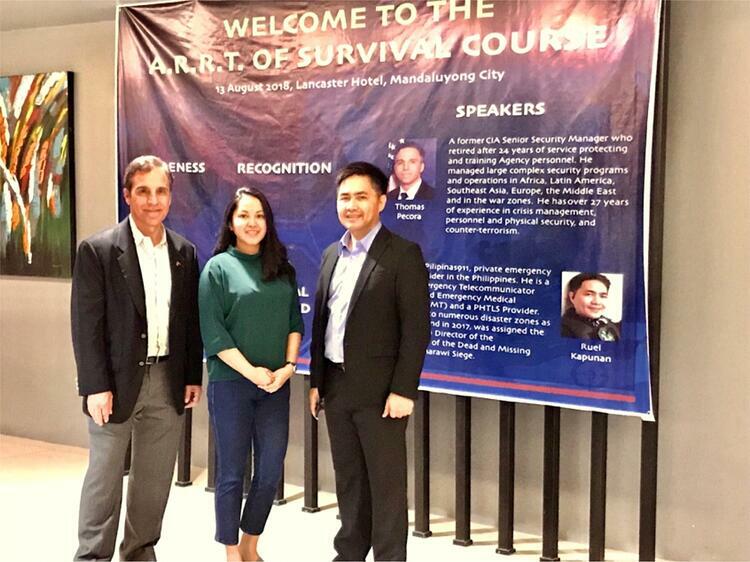 thanks to these two executives, Ruel Kapunan (Founder & Service Director of 911 Pilipinas), and Thomas Pecora (Director of Pecora Consulting Services LLC) who facilitated the training. A survival mindset is all about having a solid mental foundation, and that begins by casting away any negative thoughts and moving away from a phase of denial. Simply put, you need to develop a plan, practice it, continue training to improve it, and execute it when push comes to shove. By preparing for the worst, you become “Aware“ of your surroundings, allowing you to “Recognize” and “React” to Threats. The question is, what if the big one DOES happen? (hoping that this will never happen) Human nature is to have that survival mindset. 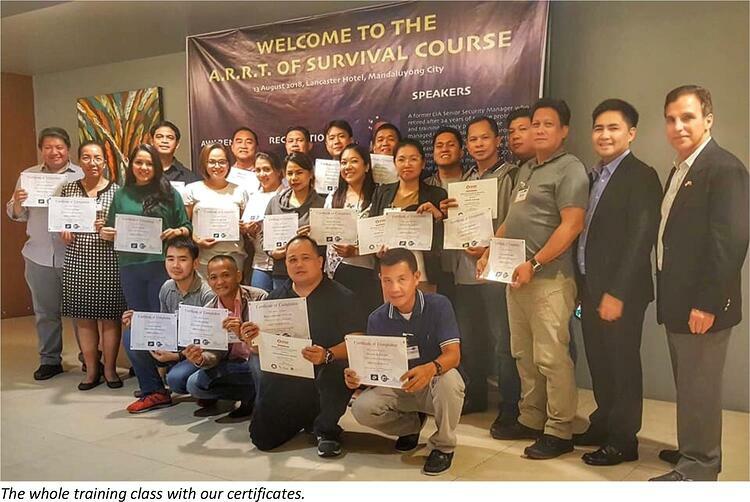 Throughout my experiences, especially with my immersion in survival training, I learned that I must be aware of the things that will happen within my surroundings, so I can mitigate imminent problems. But even then, I must admit, it is difficult to determine the appropriate action when you are in the position of saving someone’s life, or choosing between your loved ones while jeopardizing about saving yourself is difficult to fathom. One thing remains the same: we must change the way we think and be mentally prepared, hence we have to immediately decide on what actions to take and make peace with our decision. This is the best mindset to have when you find yourself in large-scale predicaments and is applicable even in business. Awareness is the key to survival, be it in life or in business. In a more specific perspective, situational awareness is all about the level of mental attention that you’re paying to your surroundings at any given time. Recognizing a threat helps you develop a strategy against it early on, allowing you to prepare for what can happen. In the discourse of A.R.R.T., there are what we call “baselines.” Baselines allow you to compare anomalies with behaviors that indicate a potential threat. Basically, recognition helps you form the basis of your reaction. Combining awareness and recognition allows you to decide on what to do and act out the strategies you’ve formulated. In life-threatening situations, the popular reactions are RUN/AVOID and HIDE/EVADE, but in business, those options are not the best choices. In fact, when it comes to saving your company from threatening issues, you need to have a plan ready because playing the victim can lead to the loss of your business. Meanwhile, from a Business Resilience stand point, the aforementioned mindset is the same as my Recovery Time Objective (RTO). RTO is your projected time where business functions return to their normal state of operations. It got me thinking about applying what I have learned about A.R.R.T. to my business, because everything about A.R.R.T. is relevant in RTO and Business Continuity Planning. As a Business Continuity consultant, business resilience is my primary concern for Clients. Through consultation partnership we focus on what is truly important to their specific business (and Clients) and customize a process, with detailed Service Level Agreements to ensure that their “show can go on” in times of disaster. Map out milestones to orchestrate a seamless outcome. And my mantra says! “Life goes on, and so does your business." What are your thoughts on Learn the A.R.R.T. of Survival (Awareness, Recognition, Reaction, Threat)? Let us know all about it. 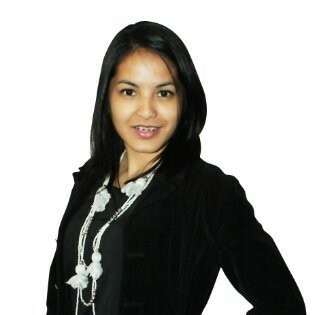 She is the Product Manager for Business Continuity Planning in KMC, with the Ability to communicate to various levels in the organization specializing in SaaS also known as Cloud Computing, Product Management, Sales, & Business Development.